Perimeter safety has never been higher on the agenda. With the threat of terrorism and the incredibly emotive subject of public safety at an all time high there is a real responsibility for both the specifier and end client to fulfill their duty of care towards all using the building and ensure that its environs are protected against potential threat. 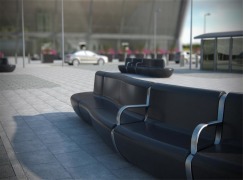 Here Romy Rawlings, Design Director of specialist street furniture company Marshalls, explains the fine line specifiers must tread in meeting safety standards, without compromising the aesthetics of the building. All buildings where large public crowds may gather are under threat; from banks and financial institutions where high volumes of people work, to leisure parks, transport hubs and airports, hotels, stadia and public squares, there is a need to protect those using and congregating in these places from the threat of attack. In the past, building protection has tended towards concrete, iron and barbed wire systems. It is widely recognised today that these have an extremely brutalising effect on the urban environment and in recent years good design practice has stood firm on the use of perimeter bollards: they should be kept to a minimum. With the statutory requirement to mitigate vehicular damage to buildings, and the raised awareness among the general public of the risks to safety, there is however a need to incorporate bollards into many specifications, without exacerbating the sense of fear and unrest that goes hand in hand with this emotive issue. When specified thoughtfully, bollards provide an effective method of protecting a space, whether this is the pedestrian access to a building, a public walkway or a vehicle-free urban area. With careful planning, bollards will act both as a deterrent and prevention against access by vehicles at high-speed with the intention of causing large-scale damage, without blocking pedestrian access. BSI PAS68:2010 is the standard in place to address the needs of those who specify bollards for this purpose. This Publicly Available Specification (PAS) has been prepared to address the needs of organisations that require assurance that the vehicle security barriers they specify will provide the required level of impact resistance. BSI PA 68 specifies a performance classification for vehicle security barriers and their foundations, when subjected to a horizontal impact. Through specifying products successfully tested to BSI PAS68, informed and proportionate security decisions can be made, in line with individual site requirements. Many systems are considered suitable for use as vehicle security barriers. As their characteristics differ in both function and form, a comparative means of assessing their performance is required. PAS68 identifies impact test methods, tolerances, vehicle type and vehicle performance: all criteria that need to be met in order to conform to the requirements. Meanwhile the associated design guidance for installation is provided in PAS69:2006. Selecting a bollard that features a steel core will go some way to ensuring the product meets the specification criteria for perimeter protection. For example, products with a RhinoGuard core have been independently tested by MIRA, proving they fulfil the demands of PAS68. Differing levels of performance are available and the specifier needs to consider what level of impact the bollards must resist; for instance a 1.5 tonne vehicle travelling at 30 mph, or a 2.5 tonne vehicle travelling at 40 mph. These criteria will be based on a number of factors such as the location of the building, the type of vehicle access and the surrounding road layout. It could be argued that, while functionality is of prime importance, the installation of large cumbersome bollards on the periphery of a carefully designed building might devalue the architectural aesthetic. Combined with this, the overall issue of security and public safety is a highly contentious one with CCTV in particular often being viewed in a negative light. However, with all these systems it is the careful balance between the subtle and the overt, the seen and the unseen, that ensures the desired level of public awareness is achieved, without raising alarm or causing undue public anxiety. There are a number of factors at play: from the message an organisation wishes to send to its staff and visitors - that it cares about their safety and is doing the right thing - to the legal duty of care and the regulatory pressures under which it operates. 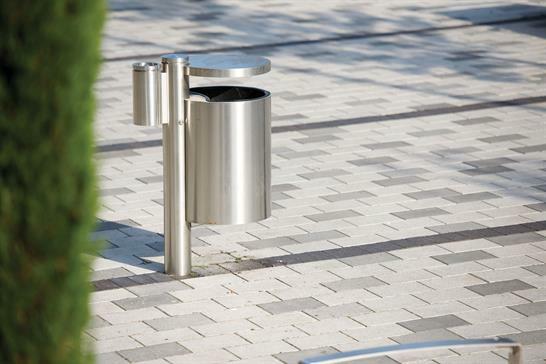 Selecting a PAS68 tested bollard that is complemented by a well-designed sleeve will ensure that both the security and the aesthetic requirements are met without exacerbating street clutter. GEO from Marshalls, for example, is a popular specification choice for urban realm projects that marries contemporary design with high quality materials to achieve a design that blends with both modern and traditional settings. Security, public safety and a duty of care cannot always be fulfilled through the selection of stock specification products. PAS68 is a highly regulated standard and ensuring that relevant products are tested in line with this benchmark will provide peace of mind. In addition it is vital to consider the effect of the security measures on the building and those using it – opting for a product where design and cohesion with other elements of the urban realm have been addressed will help to ensure that perimeter security is provided in a subtle, yet effective way.